Reminder, you can recycle your Christmas tree at our Carmel Valley, Oceanside or Blossom Valley locations. Please do not drop off your tree at our Carmel Mountain lot. Everyone wants their Christmas tree to be as fresh as possible! Customers often ask us how we keep our trees so fresh. 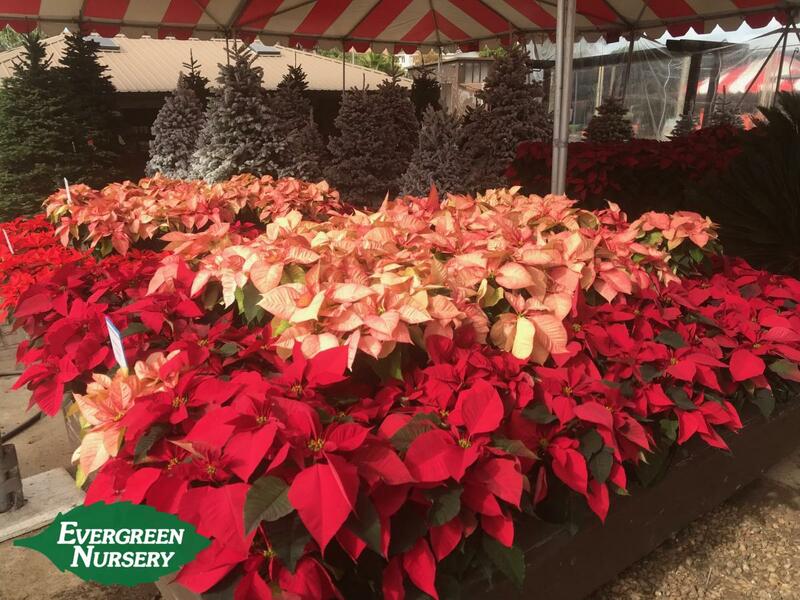 Evergreen Nursery’s Christmas trees come from small, independently owned farms in the Pacific Northwest from farmers we’ve known for years. Trees arrive at our nurseries and lots within 3 days of cutting and are stored in water after getting a fresh cut upon arrival. 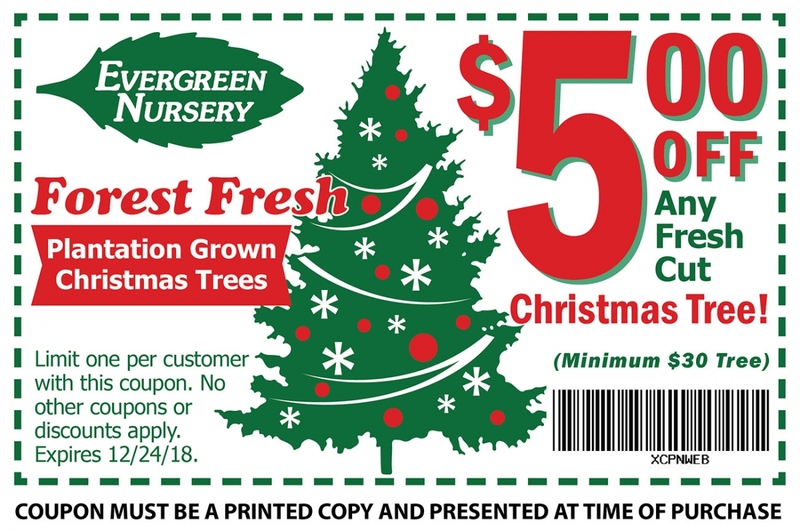 When you buy your tree, we’ll give it another fresh cut to maintain freshness for as long as possible. Once you get it home, what can you do to help your tree last longer? First, place it in warm water when you get home and use a tree preservative. Keep your tree away from direct sunlight and drying heat sources. 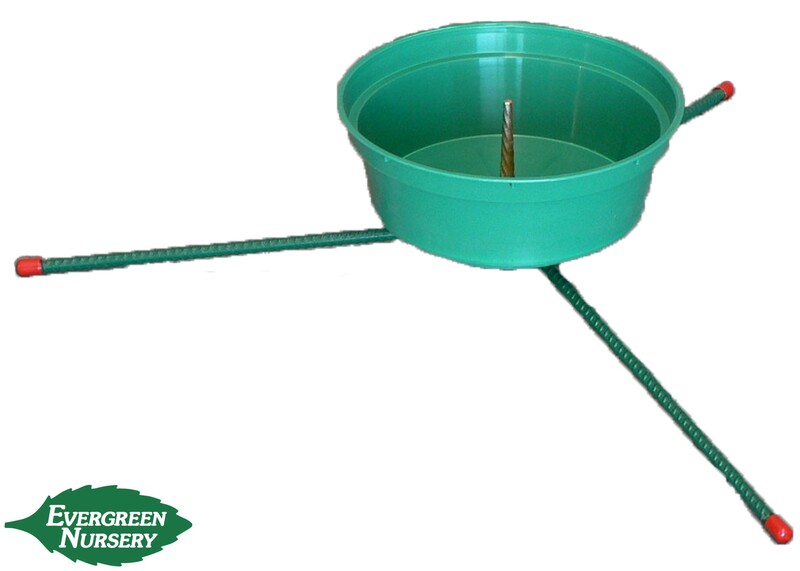 Most importantly, make sure the tree stand is always filled with water. 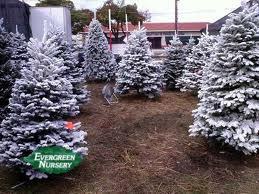 Consider your holiday plans when deciding when to purchase your tree. Even the freshest trees won’t last that long. Don’t be swayed by when Thanksgiving falls – the Christmas holiday, and for some New Year’s, are the dates that matter most! The "tough as nails" Christmas tree. 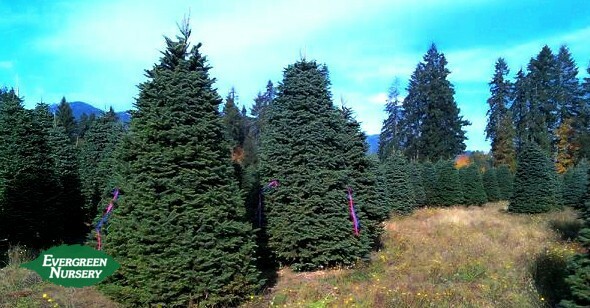 Fraser Firs are known for their longevity and pretty two-tone gray and green needles. Upswept branching and stiff needles make it great for hanging ornaments. The most popular Christmas tree. Open spacing between stiff branches allows plenty of room for hanging ornaments. Long-lasting with a mild fragrance. 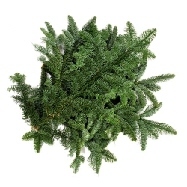 If you want a rugged, natural look and room to feature your ornaments, this is the Noble Fir for you. 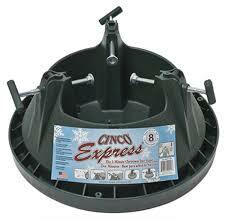 It has a more open branch spacing and sturdy branches. This newer variety holds up better than a Noble Fir and has shinier needles. It drops few needles and barely has a fragrance, making it a better choice for allergy sufferers. Branches are less stiff than on a Noble, with open space for ornaments. This tree is by far the most fragrant and has shiny dark green needles. Its branching is full, so only the outside is decorated. This variety is usually brought in a week later than Noble, Fraser, and Nordman varieties. The traditional, economical choice with a thin needle, very dense branching, and the most traditional fragrance. 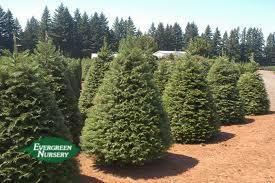 This variety is usually available at the same time as the Grand Fir. 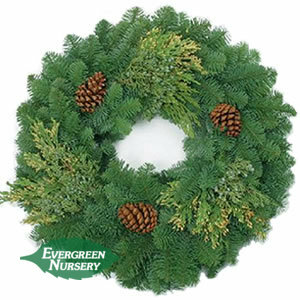 A lush, dense variety of white Spruce with stiff, blue-green needles arranged spirally on branches – perfect for hanging ornaments. Christmas tree recycling is also available at our three locations. Fireproofing (required for commercial trees) and custom flocking and are also available. 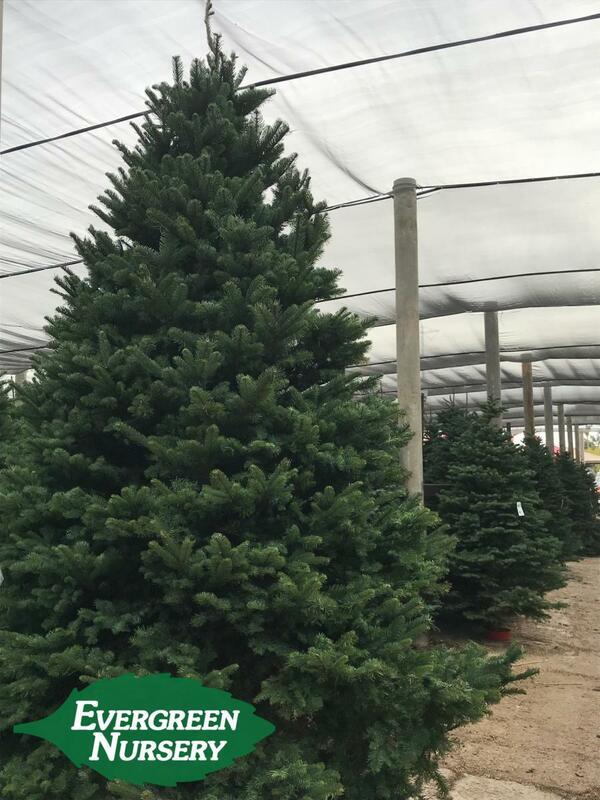 Another tip – a flocked tree will last longer and is fire resistant! 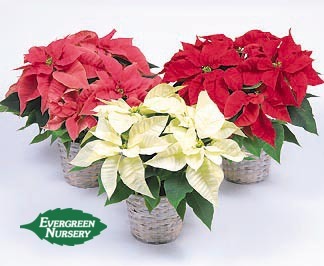 8" POTS - We will have RED AND WHITE only. 10" POTS - We will have RED only. 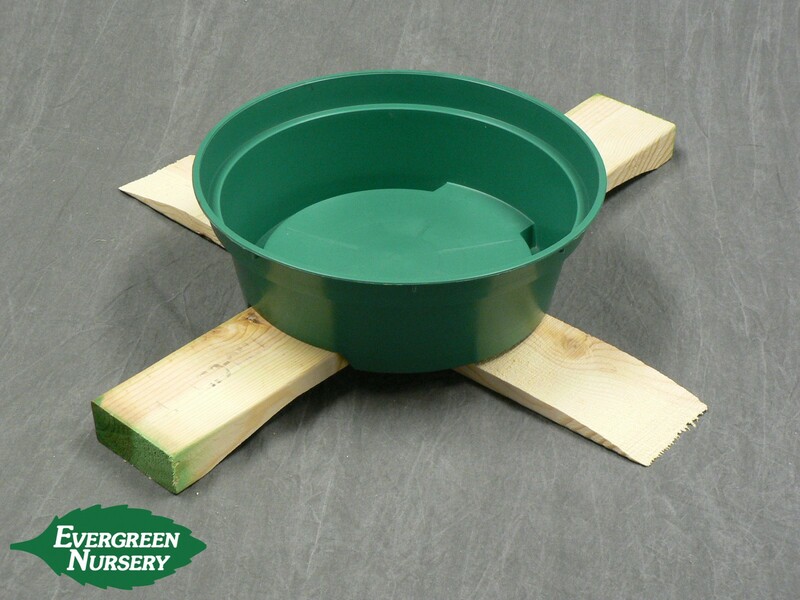 REMEMBER: No Christmas stand is leak proof. Be sure to protect your floor with a Christmas Tree Disposal Bag.